David Bartz, BROKER/Owner of Waterfront Realtors, has been recognized as one of the Leading Real Estate Agents in the United States and in the World. David has lead Waterfront Realtors as the Top Agent year over year. In fact, since 2005 David has listed and sold OVER 400 Million Dollars of New Jersey Real Estate, earning the highly acclaimed Circle of Excellence Award Platinum Level. Federica, a decorated Fashion Designer by trade, brings years of design and sociological training and experience to The DAVID BARTZ Team of dedicated Professionals. Federica is the Marketing Strategist behind all print media, website graphic design and Customer marketing-strategy. The synergy created by DAVID BARTZ Team of Real Estate Talents ensures every Customer with an unmatchable World-Class Service, which constantly honors The DAVID BARTZ Team of Realtors with endless referrals from their Clients. David Bartz specializes in Sales and Rentals of condominiums and town-homes in Private Gated Communities on the Hudson River with transportation to Manhattan, as well as single and multi-family homes thought Hudson County. Port Liberte is a secret jewel located next to Liberty State Park on the Hudson River in Jersey City. Its Gorgeous Private Neighborhood Offers Waterfront Condos and Townhouses, most with views of The New York City Skyline and Liberty National Golf Course. 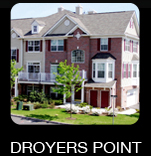 Droyers Point is located on the west side of Jersey City bordering the Newark Bay (an inlet of the Hudson River) and Bayonne. 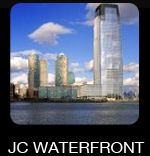 A Private Gated Waterfront Community of fabulous Town-homes with a spectacular direct waterfront location in Jersey City. 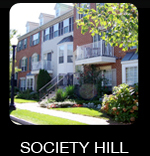 Society Hill - Located next to Droyers Point - offers Jersey City Condo & Town Home living with access to Manhattan.